Schlepping around a heavy backpack all day is tiring work. What makes is worse is that it’s often hard to find a place to sit down and rest while you’re on the go. A new backpack solves this problem. 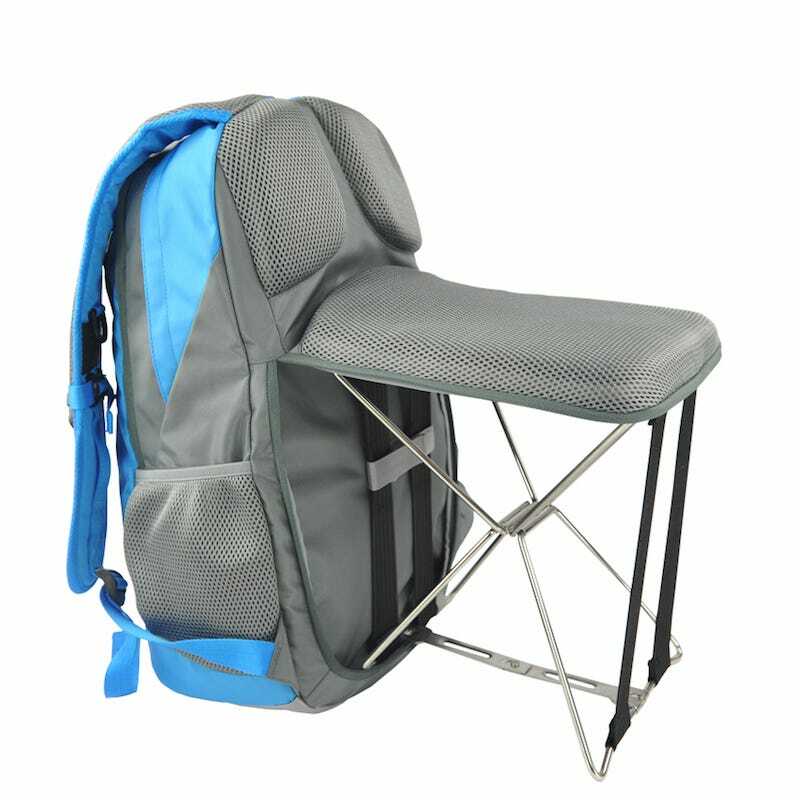 The Foldable Chair Backpack is, well, exactly what it sounds like. The bag has a chair — more of a stool, really — built right into the side of the pack. When it’s being used as a normal backpack, the metal legs of the chair fold up and are hidden behind a layer of breathable padding. They’re lightweight, and the whole bag only weighs a little more than three pounds when it’s empty. Plus, it’s waterproof. The chair can support 220 pounds of weight, which is pretty good for a little travelling stool. It’s available for sale from Brando, and costs $75.